QASH Token Sale, Quoine's first and long-awaited token offering, will be launched on October 21st at 00:00:01 UTC+8. At QUOINE, our mission is to become the largest financial institution in the crypto / blockchain world and to make positive social impact. As part of this mission, we are creating Liquid, a financial utility that will bring together the global network of cryptocurrency exchanges to provide liquidity for the illiquid crypto economy. Along with this is the launch of own ICO (Initial Coin Offering / Token Sale). Registration for the ICO / Token Sale begins today on our website: https://liquid.plus. The launch of the QASH ICO will make Quoine the first regulated exchange in the world to do a Token Sale. Yesterday night (10/2/2017), on Quoine's ICO telegram group, Mike Kayamori, founder and CEO of Quoine came out and answered a burning question from the Quoine community: “Why raise $150 million?” Mike shared a few great insights with us from our Telegram channel, which we have reproduced here. And here is the call for community action from Mike and the Quoine team. Our core product technology (Matching engine, Smart Order Routing, Real time currency conversion engine) is already used in our existing trading platform Quoinex and Qryptos. 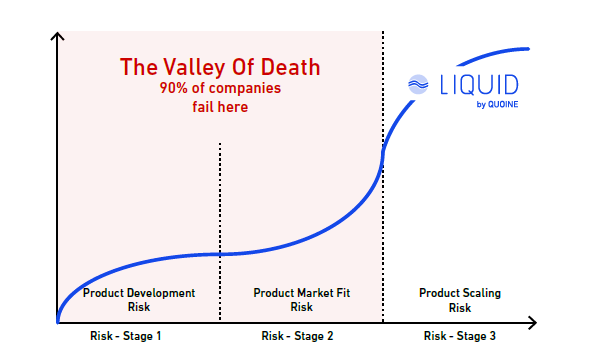 We have zero product development risk. Also, we are solving a fundamental problem, which is lack of liquidity. So we are at a very different stage from other ICOs that still have significant product development risk. Coming from the Venture capital world, 90% of startups fail. We have already gone past that stage. “One direction is to go down the dark path. When I want to send crypto tokens, even if I don’t disclose my physical name, the public will know how much I am sending. In the real world, I don’t need to show anyone how much I am sending and to whom. This should be private. The other direction is to go white and bright. We at Quoine are going this route to work with global regulation, to work with existing financial industries, and to make crypto tokens mainstream so that everyone can use them. At Quoine, we believe the future of finance is distributed. Democratization of finance has begun. The power is in everyone’s hands. Be part of the Quoine revolution and join our communities on Telegram and Slack today at: Telegram and Slack.